Our very own Sarah Merritt jetted off to sunny Spain for the second F1 test this week and, whilst at the Circuit de Barcelona-Catalunya, she was lucky enough to be able to sit down and chat to McLaren Reserve driver and reigning GP2 champion Stoffel Vandoorne. Sarah Merritt: Stoffel, looking at how you got to where you are today, I know that from karting as a child you moved to Formula Renault (where you raced against Daniil Kyvat) and then to Formula Renault 3.5 (where you raced against Kevin Magnussen). So you’ve had some pretty formidable competition from the start of your career. Tell me, what was the racing like back then, and could you tell that these two were on their way to F1 from when you first encountered them? Stoffel Vandoorne: I get asked quite a lot of those questions. Dany is in Formula 1, Kevin is in Formula 1, you’ve raced against them, you’ve been ahead of them…I’ve raced against Carlos Sainz as well, so there a couple of drivers I’ve raced against that are here in Formula 1, and I think it’s good. It shows that all the series that I’ve raced in have had very good levels in terms of competitiveness, so now I’m just waiting to get my turn to get into Formula 1! SM: Growing up in Belgium, who were your racing role models? I ask this because in the UK, young drivers often speak of the British world champions that they aspire to emulate. SV: To be honest, I didn’t really have a racing hero when I first started. I never really looked up to anyone. 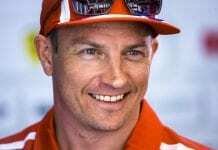 I always had huge respect for anyone in Formula 1, and the drivers around, because it’s a competitive world and it is very difficult to get into. But when I was a kid, I never really had posters in my room. SM: Sorry! I knew I’d miss someone! SV: It’s been a while since we had a couple of drivers that were at the level to go into Formula 1. I think it would be good for the sport in Belgium, and for the circuit at Spa to get someone in Formula 1. Hopefully that will be myself soon (We were going to say that! – Ed) and boost the younger kids to go into motorsport. SM: Sticking with Spa, we always talk about the added boost of having a “home crowd” support – is that something that you feel when racing there? And is it your favourite race on the calendar? SV: It is my favourite race on the calendar, yes, together with Monaco. They are two very special places. It’s my home race, but it’s my favourite track too, in terms of being a historical track, and having a great flow – it’s a good feeling when you drive it too. But besides that, there’s always a lot of family and friends there, the fans there are really supportive of me, and it’s always a great feeling when you win in front of your home crowd. SM: I was there in 2014, when you came second in the GP2 feature race, so then coming back for 2015, which you won, did it give you that extra desire to win? SV: Yes. I remember in 2014. I was leading for a long time in the race, and then in the last two or three laps, I lost the lead and finished second, so that was a bit of a disappointment. Then, I came back in 2015, and really put it all together. I started from pole position, and won the race quite easily – it was a great feeling to do that. SM: You were a dominant champion in the 2015 GP2 Championship, finishing 108 points clear of runner up Alex Rossi. How did it feel as the season progressed? Was it the most enjoyable season of racing that you have had so far, or by being ahead, does that put you under more pressure? SV: Well I definitely enjoyed last season. I went into the season being the clear favourite, and everybody was expecting a lot of me due to finishing second in the first year, so then the only thing you can do is really win it. So there was only one possibility for me…it was not only just about winning, but winning it in a way that everyone would remember, and it’s always tricky to do that. I was confident that I had the ability to do it, and I had a great team around me. At the end of 2014 we showed that the performance was there to do something great. But every weekend you have to put that together, and I think we pretty much managed that the whole year. We’d never really been under threat from anyone for the championship from the beginning, and everything ran smoothly. The main focus was not to make any mistakes, and that’s how we got big points every time. I think nearly every qualifying, we were fighting for pole position, and nearly every feature race, we were fighting for a victory as well, so it was a great season, and to finish that season breaking nearly all the records was a great thing! SM: How did you celebrate winning the championship? SV: A party with the team! SM: I thought you might have treated yourself to something special? SV: No, it was a very joyful moment with the team, I’d say. After the two years I’d spent with ART, I built a very strong relationship with them, and it ended in the best possible way. Of course, I’m going to miss them. They are a great bunch of guys, they’ve made a lot of champions as well as a team, to name a few, Nico Rosberg, Lewis Hamilton, Nico Hulkenberg…they all won championships with them, and it’s a good feeling to be in that list as well. Now I just need to make the step to Formula 1. SM: What do you like to so aside from racing? How do you relax when you get a day off? SV: Because we are travelling so much, I think it is important to hang out with friends when you are at home. You don’t have a lot of occasions when you can see them, so for me it’s important to catch up with them. Also, sometimes, when I’m home, I just want to do nothing – just chill out. A lot of training, training together with friends is cool too. SM: You don’t play racing games online then? SV: I did before, but now, honestly, I don’t want to do it anymore when I get home. I still ‘play’ in the McLaren simulator so it’s a different game, I would say! SM: Many drivers have a support network who travel with them, an “entourage” – who do you bring to races with you? I think I’ve seen your parents with you sometimes? SV: No, most of the time I travel alone, just with the team. That’s the way I like it. My parents sometimes come to races but not to a lot of them, and I prefer them to stay at a bit of a distance as well, then I can focus on doing my job without really thinking if anyone is looking at me. SM: Regarding GP2 as a feeder series – do you think it works well? I guess I’m thinking about the fact that having won it, you can’t go back, and that hasn’t always meant a “guaranteed” progression to F1 in the past. SV: I definitely think it’s the best feeder series to Formula 1. You race on the same tracks, you have the Pirelli tyres, and it’s a very technical series as well. You race on the same weekends which is good for the F1 teams because they always look at you, and it’s the closest you can get to a Formula 1 car. It’s a good preparation. SM: Do you have any nicknames? I know the fans and McLaren themselves have taken to calling you “Stoff”, do you like that one? SV: I don’t really have any, but everyone here calls me Stoff! I’m happy with that! SM: We think social media activity and fan engagement are key to making your followers and the teams followers feel part of the journey you are on. Do you agree? SV: I definitely think social media is part of this world at the moment, and nearly everybody in the paddock is on social media. I think it is part of your own brand these days, to promote yourself, and to give the fans greater insight into what is happening in the driver’s life. SM: This year you have stepped into the McLaren reserve driver role – How do you enjoy the simulator work that you have been doing? SV: During the last two years I’ve spent a lot of time in the simulator. It’s a great tool for young drivers, and a great tool for the race drivers as well. We use it a lots in terms of race preparation ahead of a race weekend, before a test, and afterwards as well to debrief. It’s become a very big engineering tool in the latest couple of years – nearly every team has one now, and they spend a lot of time on it to develop it. The circuits are very, very realistic, that’s why they spend so much time on it, to get it as close as possible. SM: I’ve read drivers say that they have suffered from nausea the first time they used one – is it a weird feeling? SV: I think our generation is probably different as we are used to playing computer games from when we are young. It feels alright to be honest. SM: You’ll also be participating in Super Formula with Docomo Team Dandelion Racing in tandem with that role, which is a Honda powered team, so there is a natural link there. How are you looking forward to that? Does it fit well with your F1 travelling commitments? SV: It’s going to be a very busy year for me. Being at all the grand prix and doing all the travelling to Japan is going to mean a lot of air miles, but I think it’s a good thing to do for me this year, at least it keeps me racing, and we saw last that with Kevin not racing at all, it was a tricky situation. This year I will have a racing programme combined with my McLaren reserve role, which is a great opportunity for me to stay race-sharp. I’ll have seven races there, and I can also really build my relationship with Honda as well, because I’ll be racing with a Honda team. SM: Your old GP2 teammate Nobuharu Matsushita is now also part of the McLaren team – what advice would you give to him this year? SV: We’re not really giving each other advice, but we are generally talking about different stuff on the car, and I think we automatically learn from each other comments. When we listen to each other on the radio, we listen to each other’s experiences, so that generally helps. SM: Obviously your goal is to have an F1 drive, and it would seem you are well-positioned to achieve that given last year’s GP2 performance – but as we saw with Kevin last year, there are no guarantees. What will you be doing this year to show the team that you mean business, and ready for that step up? SV: I definitely feel one hundred percent ready to be in Formula 1. Over the last two years I have done pretty much everything that I could to be here, and I think I’ve shown my ability. It’s just about getting the right chance now, and getting a drive, so that I can prove myself. I think there are opportunities in the future to be here – obviously this year, it’s not going to be possible – but hopefully 2017 is the year when I’ll make the step. That’s what we are preparing for, spending a lot of time with the team, and racing in Japan. Hopefully I’ll get a go next season. SM: Are there any opportunities for you to perhaps drive FP1 on some race weekends? SV: I don’t think so, I don’t really count on it. There is some testing during the year but it is too early to know if I will be in the car for that or not. SM: And finally – initial thoughts on the MP4-31 from what you have seen so far? SV: It’s still a bit early, I would say. So far everything has run pretty smoothly at the first test – we’ve had a couple of difficult moments but, so far, so good. It’s still testing, you know, and how good the car will be, we’ll only find out in Melbourne or even a bit later in the season. New Bahrain layout "to confuse Schumacher"